Proposed natural-gas export terminal in Kitimat is slated to add billions to the B.C. 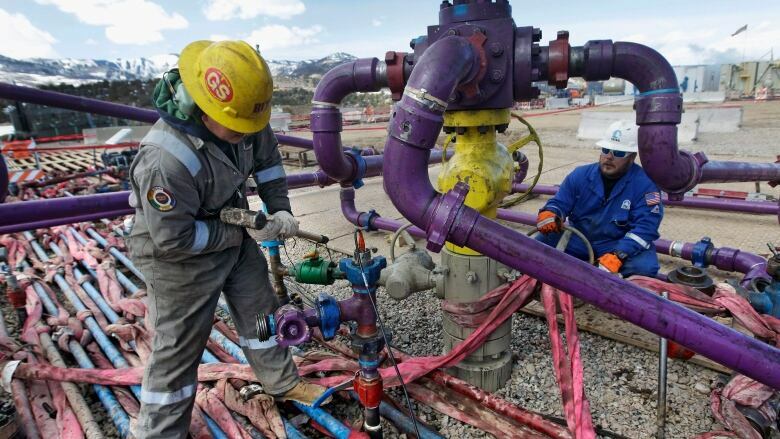 economy, but critics think fracking risks don't justify the financial boost. A proposed natural-gas export terminal in Kitimat, B.C., is slated to add billions to provincial coffers, but critics think fracking risks don't justify the financial boost. Premier John Horgan last week announced plans to move forward with tax breaks for the proposed liquefied natural gas project. If it's approved later this year, the $40-billion project could generate 10,000 jobs and $22 billion in income for the province. The increased production would meet a "substantial demand" worldwide for a cleaner energy source following the 2015 Paris climate agreement, said Susannah Pierce, a director at LNG Canada. "Canada was missing out," Pierce said, pointing to a need for natural gas in countries such as Japan and China. "If we don't produce it here it'll get produced somewhere else," she said. "And they'll be doing it worse." But getting at natural gas buried deep underground requires forceful fluid injections, which one critic says can leak a medley of chemicals into the surrounding environment. John Werring, a policy advisor for the David Suzuki Foundation, says that without tough regulations on the hydraulic fracturing process, those methane and other greenhouse gas leaks — known as "fugitive" emissions — could cancel out the benefits of using natural gas when compared to other fossil fuels. "When a well is drilled and fluids are injected into the well to release the gas, there's a big blowback of a massive amount of natural gas and volatile organic compounds that come out of the well before it's capped," said Werring. Werring points to current natural gas projects in northeastern B.C. that he says emit over 100,000 tonnes of fugitive methane annually, the "equivalent of putting over two million cars on the road." Last month, the province's auditor general said meeting reduction targets depends heavily on the size of the natural gas industry that develops in the coming decades. Expanding natural gas production means carcinogens such as benzene, toluene and even radioactive chemicals could end up in the air, water and soil in the surrounding areas, Werring says. "There's a lot of people who will end up in the hospital and a lot of children that will be born with birth defects," he said, citing a recent report from the Physicians for Social Responsibility and the Concerned Health Professionals of New York that warns of serious health risks associated with fracking. Pierce said LNG Canada wants to produce natural gas with the lowest emissions in the world, and stressed the consortium's commitment to investing in abatement technologies that could help B.C. stick to its emissions targets, which aim to reduce greenhouse gases to 80 per cent of 2007 levels by 2050. But Werring thinks the "sheer volume" of fugitive emissions, plus the possibility of earthquakes that could sever underground pipes and contaminate aquifers used for drinking water, would neutralize any environmental benefits of using natural gas. "Unless they control emissions at source and put in some kind of strong regulatory mechanism ... and force this industry to clean itself up, they shouldn't be doing anything to expand the problem." A previous version of this story provided an inaccurate definition of "fugitive" emissions and mistakenly showed a photo of an oil well operation. The story has also been updated to identify the authors of a report cited by John Werring that warns of health risks associated with fracking.